Gussy up your stocking-stuffers with our fancy-shmancy (but wildly practical…) Mulberrys gift cards! They make the perfect gift for your office Secret Santa-recipient, a beloved family member, or a fashionable friend. Giving the gift of clean never goes out of style. 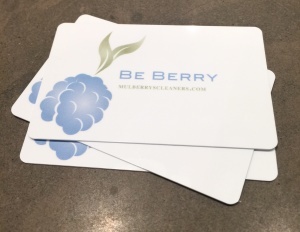 You can order Mulberrys virtual gift cards online on our website (mulberryscleaners.com) or purchase a physical gift card at one of our five Twin Cities locations.